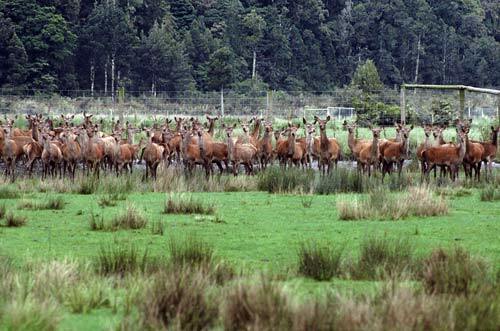 A mob of hinds gathers on a farm near Hokitika on the West Coast. The pine posts at right make up a stay assembly designed to take the strain of the 1.9-metre netting used for deer fencing. Intermediate posts at regular intervals hold up the netting.